The McLaren 650S GT3 will return to the world-famous Spa-Francorchamps circuit in the Ardennes Forest later this month as three examples line up to take on the 2016 Total 24 Hours of Spa – 28-31 July – run by McLaren GT customer team Garage 59. The regular Blancpain Endurance Cup driver line-of of Factory Drivers Rob Bell (GB), Côme Ledogar (FR) and Shane van Gisbergen (NZ) in the #58 car and Academy Drivers Alex Fontana (CH), Struan Moore (JE) and Andrew Watson (NI) in the iconic #59 will be joined by Bruno Senna (BR), Duncan Tappy (GB) and Luis Felipe ‘Pipo’ Derani (BR) in the third entry running as number #60. 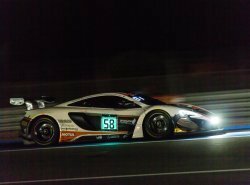 The 650S GT3 made its 24 hours race debut at the headline event of the Blancpain GT calendar last year, securing a front row start and a hard-fought top 10 finish. Bell leads the overall Blancpain GT Series Drivers Championship with a 44-point margin, with wins at Monza and Paul Ricard with van Gisbergen and Ledogar in the Endurance Cup and, most recently, at the Nürburgring alongside Alvaro Parente in the Sprint Cup. Customer team Garage 59 is looking to build on this success, and to extend the points lead in the Blancpain GT Teams Championship. The Total 24 Hours of Spa sees points awarded at the six, 12 and 24 hour marks. 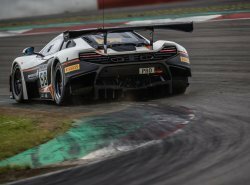 McLaren GT Driver Academy trio of Alex Fontana, Struan Moore and Andrew Watson return to the #59 650S GT3 for the fourth round of the Blancpain GT Series Endurance Cup, with each of them making their 24 hour race debuts. The young driver line-up has shown promise during the first half of the season with results and individual performances improving at each round. 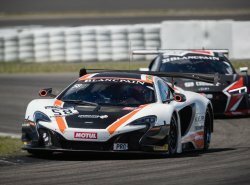 The third 650S GT3 will be anchored by McLaren P1TM GTR Driver Mentor Bruno Senna, returning to the cockpit of the 650S GT3 for the first time competitively in 2016. The Brazilian ex-Formula 1 driver’s last race in a McLaren was a part of the team who claimed P10 at the 24 Hours of Spa last year. 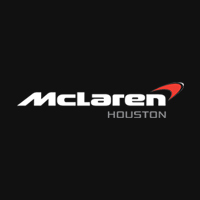 Senna will be joined by Garage 59 International GT Open race winner Duncan Tappy and 2016 Daytona 24 Hours and Sebring 12 Hours winner Luis Felipe ‘Pipo’ Derani in the #60 McLaren 650S GT3. 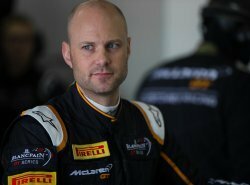 Commenting on the confirmed line-up ahead of the official 24 Hours of Spa test day, Andrew Kirkaldy, McLaren GT explained: ‘The 24 Hours of Spa has been a key race on the calendar for McLaren GT and our customer teams for the past six years, and with the 650S GT3 and the line-up of drivers for the 2016 assault, it is clear that there is a desire to not only race but challenge for the top positions. The race is arguably the toughest on the GT calendar, both in terms of the competiveness of the grid but also in terms of the grueling nature of the track and conditions, so it will be a true test, but one which the drivers and the cars are in as strong a position as ever. The 2016 Total 24 Hours of Spa commences at 16:30 local time (15:30BST), Saturday 30 July.